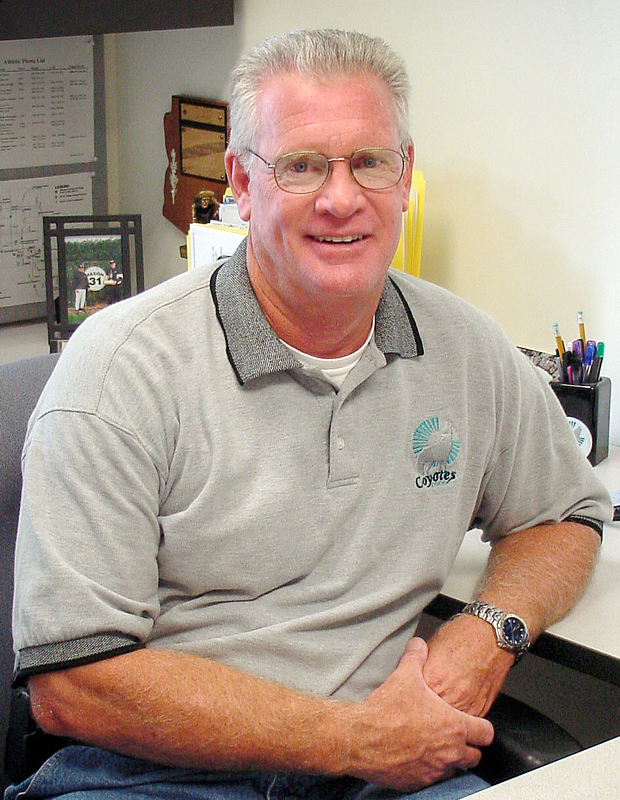 CGCC Athletic Department founder and former Athletic Director, Jeff Mason, has been named CGCC’s inaugural inductee to the Arizona Community College Athletic Conference (ACCAC) Hall of Fame. Mason will be recognized for his induction as well as his tremendous contribution to CGCC Athletics on Wednesday, January 27th during halftime of the women’s basketball game. In 1998, Mason was named founding Athletic Director at CGCC and brought with him a rich background in athletics that set his standards of excellence at the highest levels. After competing as a pro ball player for the Yankees, Cardinals and Giants from 1967 – 1974, Mason poured the same passion and performance into the world of high school athletics as a coach, teacher and eventually athletic director. Between the years 1975 and 1997 Mason led Apache Junction varsity baseball team to back to back state championships and was named the Arizona Republic Baseball Coach of the Year both years. From 1983-1993, he was the varsity baseball coach at Chandler High School. In 2007, Jeff was named to the Arizona Baseball Coaches Association Hall of Fame. As the founding CGCC Athletic Director Mason was charged with bricks, mortar and everything else that goes into building a collegiate-level program. Specifically, Mason had to work with the community to determine which sports to offer and find and negotiate facility agreements for off-campus competition. Later, he oversaw the design and construction of facilities on campus, he brought CGCC into the Arizona Community College Athletic Conference and the National Junior College Athletic Association. He hired coaches and staff, assisted with recruiting, assured that student athletes and coaches conformed to standards, and led fundraising efforts. The CGCC athletic department will recognize Mr. Jeff Mason on his induction into the ACCAC Hall of Fame Class of 2015 Wednesday January 27th at 7pm at the Coyote Center. The ceremony will take place between the women’s basketball game and the men's game. Our opponent will be Cochise College.